This solid house is composed of very large rooms, living-room, kitchen, bathroom, separate . 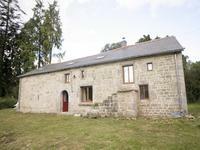 . .
Charming spacious 292 years old 4 bedrooms stone and slate cottage/longère (200 m2), nestled in the heart of the beautiful Brittany countryside. Recently renovated to a high specification, garden of 1000 m2, detached stone built barn of . . . The land is situated a short distance from the town of Guemene sur Scorff in one direction . . .
3 bedroom house within walking distance of Guemene sur Scorff centre. This 3 bedroom house would be ideal as a holiday home and is easy to manage. It is . . .
Beautiful 1 bedroom property in Breton village. 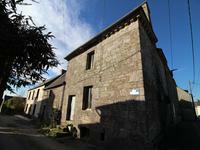 Quaint and attractive 1 bedroom terraced cottage situated in a typical Breton village at the . . .
A 3 bedroom stone semi-detached house with a large garden, a workshop and outbuildings in a pretty Breton village. A 3 bedroom stone semi detached house with a large garden, a workshop with electricity and . . .
From the onset, this typical stone house in the spectacular town centre, just 30 metres from . . . The pizzeria is a full fledged restaurant, capable of handling 44 seats at a time, and also . . .
A modern, detached house with 4 bedrooms in Guemene sur Scorff. 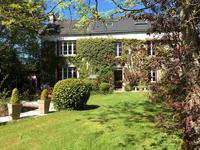 A 4 bedroom family house situated close to the centre of Guemene schools, its amenities and . . .
A 2 bedroom newly renovated longere with ½ an acre of garden and a barn with electricity. 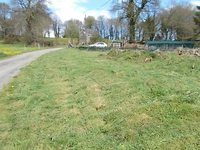 Set in the country. A 2 bedroom newly renovated attached longere with an open plan fully fitted kitchen/diner and . . .
2 bedroomed stone built cottage with large barn attached. A great opportunity to buy a beautiful cottage with the attached barn. The second building . . .
Lovely, well maintained and tastfully decorated home situated in country village. This 3 . . . This house situated in a beautiful Breton village is currently used as a B&B. Thoughtfully . . .